We acquired the building in September 2013 and renovation work started in early October. It took just 100 days to turn the shell of a 1980’s 10,000sqft building in to fully equipped Peptide Laboratories, an Immunology operation with an enviable new Cell-culture suite and open-plan commercial offices with plenty of room for meetings and storage. The £1 million investment programme has secured Cambridge Research Biochemicals’ future growth and ability to expand even further. On Wednesday, 17th September 2014, Professor Gillian M. Griffiths (Director of CIMR, Cambridge Institute for Medical Research) officially opened the Gardner Ratcliffe building (video here) with an action packed day featuring ribbon cutting, plaque unveiling and an illuminating talk on antibodies from Gillian. She like her colleagues has been a longstanding customer of custom antibodies from Cambridge Research Biochemicals and we were delighted to have her reside over the proceedings. Guests then enjoyed a tour of the new facility including peptide and immunology laboratories featuring demonstrations of key techniques performed by our team of highly skilled chemists and biologists. A welcome introduction was given by CRB’s Commercial and Operations Directors Emily Humphrys and Alison White respectively. This was followed by a presentation by Technical Manager Dr Laurent Caron, which provided the guests with an overview of peptide chemistry. To complete the day, guests were served a sumptuous afternoon tea at the magnificent Crathorne Hall in North Yorkshire. The Gardner Ratcliffe building was named in honour of Dr Joseph P Gardner (Pfizer) a long-standing and revered customer of Antibody tools and Dr Steven J Ratcliffe (GlaxoSmithKline) an enduring and respected Peptide customer. Dr Steven Ratcliffe (retired in 2016) led the Molecular Tools Group at GSK, a unit focussed principally on the design and synthesis of labelled compounds for assay development and target validation. Dr Ratcliffe has been recognised many times within GSK for his small molecule and peptide expertise and is an established committee member of the Peptide Protein Science Group (PPSG). 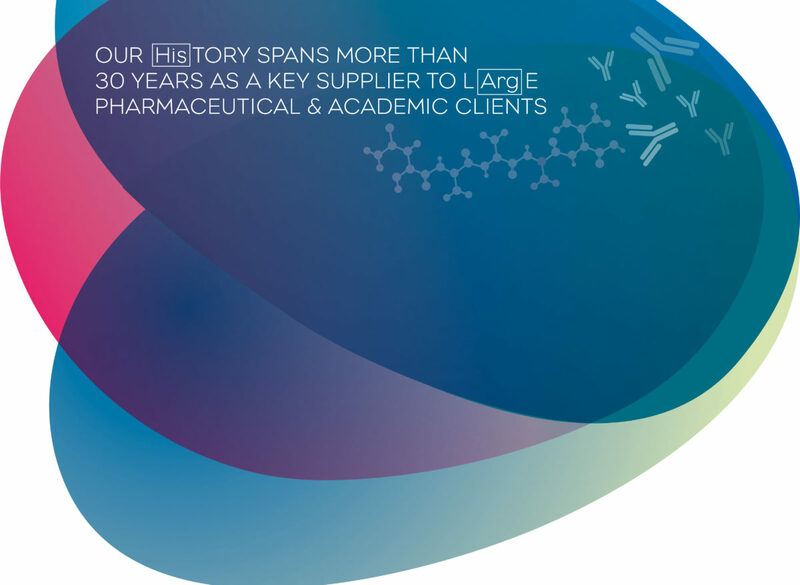 Steve spent 36 years at GSK applying the principles of peptide science to varied areas of the drug discovery process. Dr Joseph Gardner joined Pfizer in 1986 and was a recognised expert in Biacore and SPR technology. He authored numerous publications and led Pfizer’s first Centre of Emphasis for Antibody Development and Characterisation in 2003. Joe headed up the global external research solutions group for outsourcing the generation of reagent antibodies in 2009 and retired from Pfizer in 2015 after almost 30 years of service. 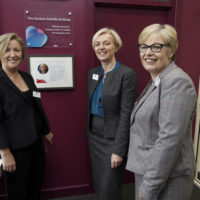 “The Official Opening of the Gardner Ratcliffe building was a fantastic opportunity to welcome guests to our new facility and showcase our talents for generation of top quality research tools including custom peptides and bespoke antibodies” commented Operations Director of CRB, Alison White. “We were privileged to welcome Drs Steven Ratcliffe and Joseph Gardner to the building and to hear from Professor Gillian Griffiths on the success of CRB’s antibodies in her research over the years. The event was a huge success and we look forward to spending many fruitful and productive years in our new facility.” enthused Emily Humphrys, CRB’s Commercial Director. 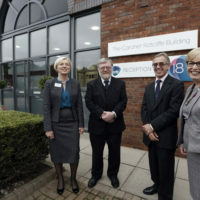 This was a very proud moment in CRB’s history and as the longest standing owners of CRB, Emily Humphrys and Alison White wanted to commemorate this significant milestone and investment for the future security of the business by celebrating with employees, customers, advisors and suppliers. 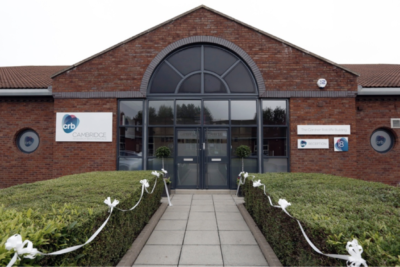 CRB has been located at the Belasis Hall Technology Park in Billingham since 2001 and has steadily built up its reputation as a global player in the life science industry.